I got myself some new goodies. 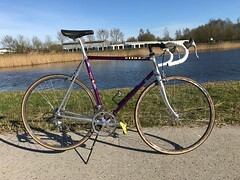 Not for riding, but for posing. 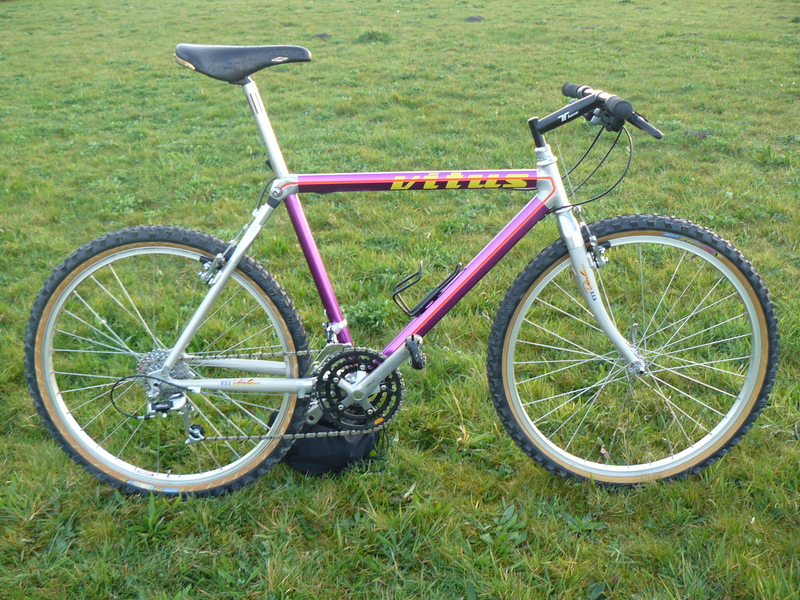 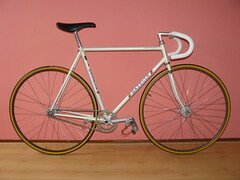 Nice for a collector if a track bike should have all components right, brands matching. 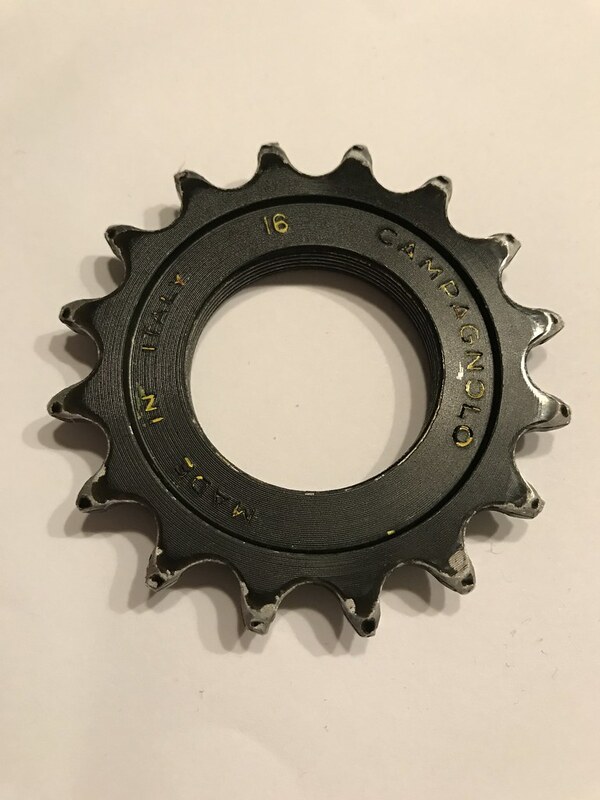 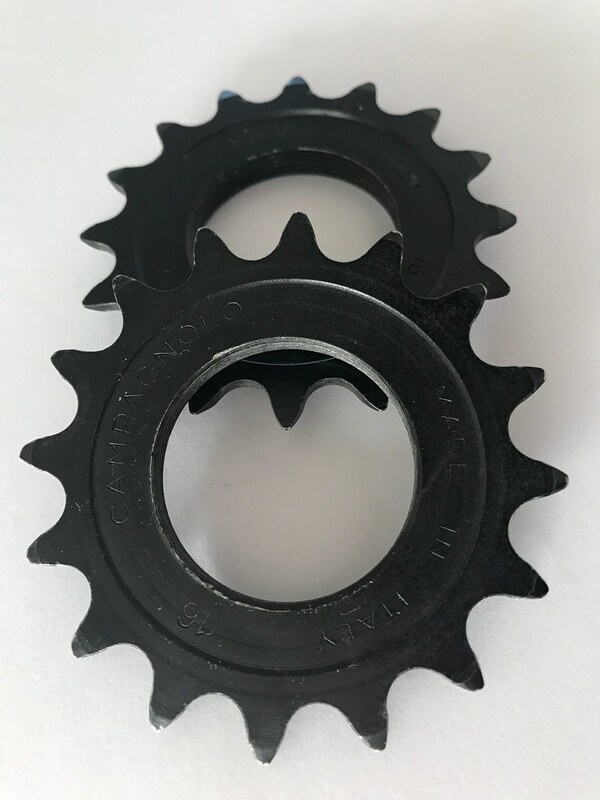 For riding I use durable steel sprockets, no matter which brand, as long as the number of teeth is correct and the sprockets width matches the chain I use on that particular bike. 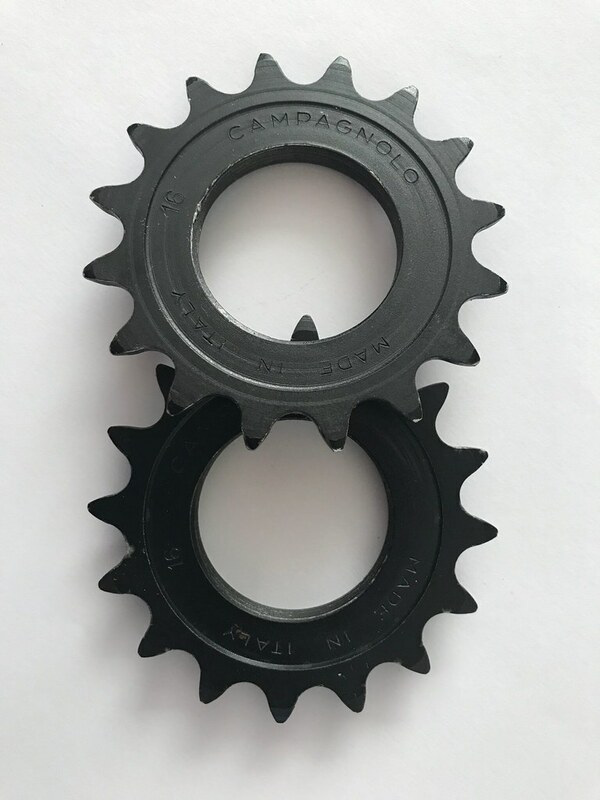 Last year I got myself a set of old Shimano Dura Ace track hubs with an aluminium 16T 1/2x1/8"Campagnolo track sprocket on it, last week I bought 2 pieces of aluminium 16T 1/2x3/32" ones from my nice neighbour at a bike jumble.